AMIA Systems has developed its own software to visualize, quantify and optimize the production and maintenance sites. SIMOGGA simplifies the reorganization processes and the operational management of the production flows. We help industrial companies to be more market-responsive. Our solutions allow an immediate assessment of key performance indicators (KPI) which can consequently be used to ease discussions during meetings, facilitate decision taking as well as challenge all the stakeholders. With this graphical material handling system, all the actors in the factory are able to visualize, quantify and optimize the layout. This can be achieved by providing a small amount of data, analyzing the overall flow and running SIMOGGA’s optimization algorithm. 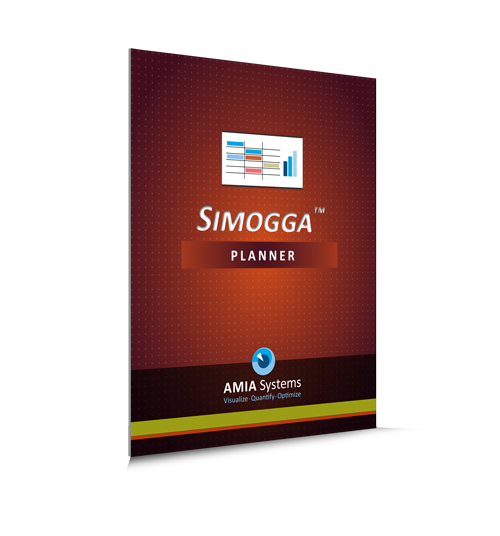 Using this advanced planning and scheduling solution, all the actors are able to reorganize their operations using a minimal amount of data as well as to optimize the production with given limited resources and constraints. 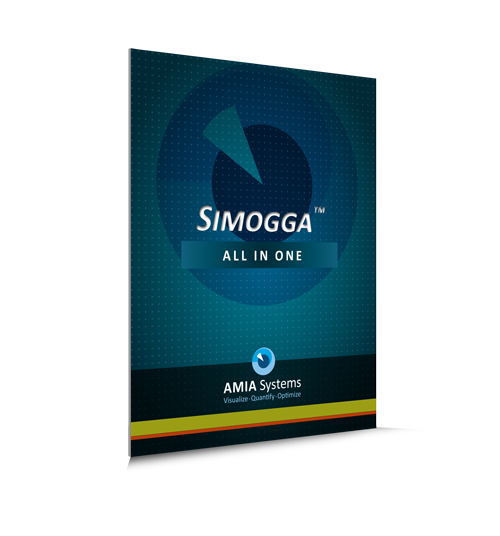 SIMOGGA Analytics is a software solution specifically dedicated to the warehouses, to improve the efficiency of the site. Feeding on the data from the WMS our ERP, it transforms these huge amount of data in a visual representation to easily achieve complex analysis and take the right decision anytime. This software solution collects real-time data directly from the workshop, machinery, electronic components and sensors in order to allow permanent improvement of the performance of your factory, warehouse or maintenance site (MRO). How do our solutions fit to your needs? Do you have any questions or want to know more about our capabilities? Our team will be delighted to answer your specific questions and demonstrate rapidly to you how we could unlock rapidly logistical and financial benefits within your manufacturing operations. Contact us!